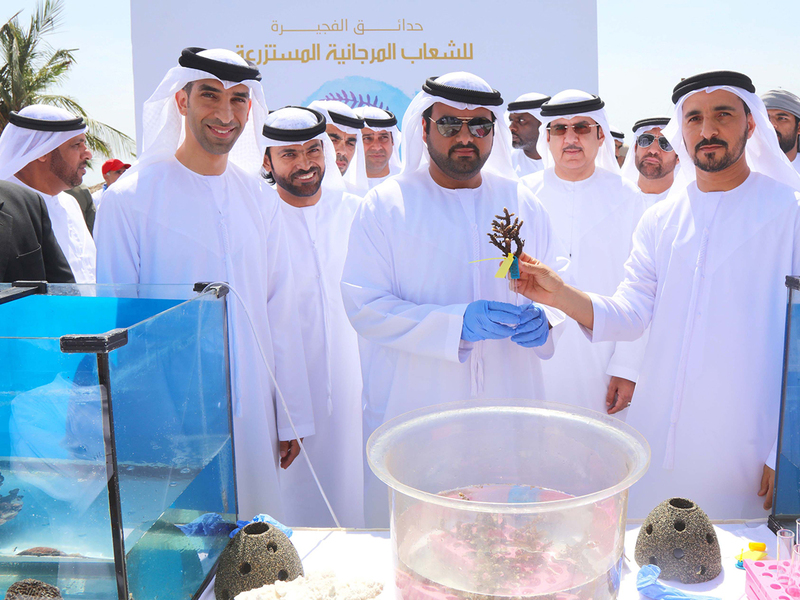 Dubai: The Ministry of Climate Change and Environment on Saturday launched ‘Fujairah Cultured Coral Reef Gardens’, the largest project of its kind in the UAE, in collaboration with Fujairah Municipality, Dibba Fujairah Municipality and the Fujairah Adventures. The project is set to include the cultivation of 1.5 million coral reef colonies over the next five years. Dr Thani Bin Ahmad Al Zeyoudi, Minister of Climate Change and Environment, said the project, which spans 300,000 square metres, will significantly boost the sustainability of fish stocks, safeguarding food diversity and food security in the country. It will also contribute to increasing the income of the fishermen — nearly 7,000 fishermen in 1,700 fishing boats work in the area.